The president, Abdullah Gül, visiting the area, described Tuesday’s explosion as "a huge disaster", adding: "The pain is felt by all". But despite more restraint among relatives and protesters in Soma than during the prime minister’s visit a day earlier, Gül was still heckled by crowds. Miners and rescue workers await the arrival of Turkey’s president, Abdullah Gül, outside the mine in Soma. Photograph: Lefteris Pitarakis/APThe first funerals for victims were held as labourers continued to dig rows of graves in a cemetery near the mine. Women with pictures of victims pinned to their clothing swayed, wailed and sang as coffins were lowered into the graves. Some mourners said they had spent their lives fearing a catastrophic incident at the mine. "The wives of the miners kiss their husbands in the morning. When they come back, even if they are five minutes late, everyone starts calling. You never know what is going to happen," said Gulizar Donmez, 45, a neighbour of one of the victims and whose father and husband are both miners. Rescue teams recovered another eight victims on Thursday, raising the death toll to 282, with 142 people still unaccounted for, according to government figures. No miner has been brought out alive since dawn on Wednesday. The energy minister, Taner Yıldız, said a fire inside the mine was dying down, raising hopes that rescuers would soon be able to speed up their search for the missing. 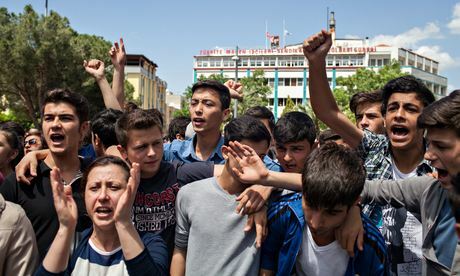 Turkey’s worst ever mining disaster triggered a protest strike and skirmishes across the country, and threatened to derail Erdoğan’s presidential ambitions. He had been expected to announce imminently his candidacy for presidential elections in August, but his insensitivity over the mine explosion may damage his prospects. During a visit to Soma on Wednesday, the prime minister claimed that accidents were inevitable in the mining industry, citing 19th-century incidents in Britain as examples. Hostility towards Erdoğan was evident in a large crowd which jostled the visibly shaken prime minister and his aides amid jeers, whistles and chants. He was forced to take refuge in a supermarket where, according to some accounts in the Turkish media, he struck a teenage girl who called him a murderer. A government official denied the allegation. Yusef Yerkel, one of his aides, was photographed taking a running kick at a protester who was pinned to the ground by two soldiers. He kicked the man three or four times, according to Turkish media. The images caused a furious response on social media and could fuel anti-government protests. Yerkel promised to explain the incident, but no statement had been made after 24 hours. Young people protest outside the mayor’s office in Soma, calling the Turkish government “liars”. Photograph: Bradley Secker/Demotix/CorbisProtests over the mining deaths erupted in other Turkish cities, including Istanbul, Ankara, İzmir and Zonguldak. 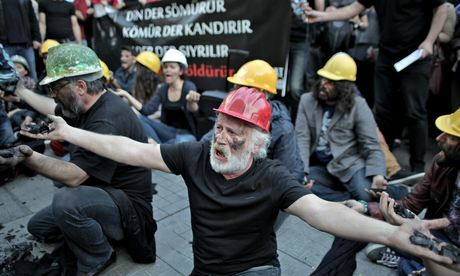 Turkish trade unions held a one-day strike over safety standards in the mining industry. Security forces deployed tear gas and water canon against around 20,000 protesters in İzmir. In Istanbul, a group chanted anti-government slogans and carried a large banner that read: "It’s not an accident, it’s murder." In Soma protesters chanted: "Soma’s coal will burn the government" and "Tayyip the murderer". The government has said that 787 people were inside the coalmine at the time of the explosion and that 383 had been rescued, many with injuries. The explosion tore through the mine as workers were preparing for a shift change, which probably raised the casualty toll. It is the country’s most deadly mining accident, topping a 1992 gas explosion that killed 263 workers near the Black Sea port of Zonguldak. Mining accidents are common in Turkey, which is plagued by poor safety conditions. Erdoğan promised that the tragedy would be investigated to its "smallest detail" and that "no negligence will be ignored". The Hürriyet newspaper reported that a team of 15 prosecutors has been assigned to investigate the accident. Throughout the morning and well into the afternoon, the roll call of the dead echoed from the municipal loudspeakers: name after name recited in a harsh, metallic voice. Gülay, a woman in her 30s who works in a small cafe, stiffened as she recognised the name of her cousin, and struggled to hold back her tears. "The whole town mourns our dead," she said. Her nephew was still missing, she added. "We know that we will not see him again alive. But why does nobody give us any information? All of us know that the number of dead is much higher than the one they announced." 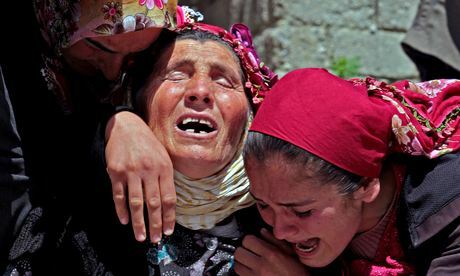 Two days after the worst mining accident in the history of Turkey, the mood in Soma oscillated between devastation and bitter anger. As the death toll pushed towards 300 – and with hopes extinguished for at least 100 more miners thought to be trapped deep in the pit – hundreds gathered to protest in a central square, even as labourers carved out rows of fresh graves in a cemetery near the mine, and hearses lined up outside with more victims of Turkey’s worst mining disaster. Fury was directed at the Turkish prime minister, Recep Tayyip Erdoğan, stoked by the government’s perceived cosiness with mining tycoons, and its failure to enforce safety standards. The anger was further fuelled as more pictures emerged of a prime ministerial aide violently assaulting a protester, and amid claims that Erdoğan himself had struck a teenage girl during a fraught visit to the town a day earlier. Protests were held in cities including Istanbul, Ankara, İzmir and Zonguldak. Security forces deployed teargas and water cannon against around 20,000 protesters in İzmir. The president, Abdullah Gül, visiting Soma, described Tuesday’s explosion as "a huge disaster", adding: "The pain is felt by all." He was given a more restrained reception than Erdoğan, but Gül was still heckled by crowds. "Why does he come here with an army of police and security personnel?" asked one angry miner who did not want to be named. "These people come here with their nice suits and their ties, but no compassion for our suffering." Many blamed the privatisation of coalmines and the increasing use of subcontractors for the terrible accident. "We don’t want these subcontractors here!" said one man who has been working in coalmining for four years. "They don’t put any value on a human life. All they care about is profit, and nothing else." Not everyone agreed the government was to blame. "How is this the fault of the government?" asked one woman. "We are sad, yes. But angry? Who would we be angry at? This is a terrible disaster, but it is not the fault of our prime minister." Several shops in the town closed their shutters in solidarity with the families of the dead workers; many put up posters extending condolences. According to official numbers, 787 miners were in the shaft when the explosion tore through the mine. On Thursday night rescue teams finally managed to extinguish the fire inside the shaft, and more bodies were retrieved. Earlier, the first funerals were held. Women with pictures of dead menfolk pinned to their clothing swayed, wailed and sang as coffins were lowered into the graves. At one stage the graveyard was so crowded with mourners that the imam was forced to ask families to say their final goodbyes quickly so that the next burials could take place. One miner who wished to remain anonymous said he was on leave when the accident happened. "So many of my friends are dead, so very many," he said. "Normally I would have been down there as well." Is he afraid to go back down the mine? "Of course," he nods. "But I have no choice. I need to bring my children through school." Soma, a town of 100,000 people, owed its livelihood to coal, said Nadirhan Hizli, a board member of the Soma chamber of commerce. "There are no other jobs here," he said. "If you don’t work in the mine, you trade coal. It’s all there is here." Most of the town’s inhabitants are conservative working class voters who in recent years have made up the backbone of Erdoğan’s support. 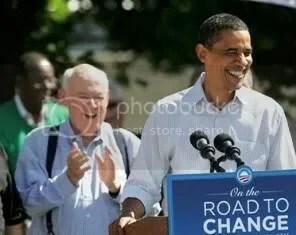 But his handling of the disaster has triggered visceral anger across the country. During a visit to Soma on Wednesday the prime minister claimed that accidents were inevitable in the mining industry, further fuelling the anger of the opposition. "Our mourning is starting to turn into anger," one member of the regional miners’ union said. "What does the prime minister mean when he says such things? It is time for the government to admit their mistakes, to stand behind us. Instead they come here and laugh at our pain." After last summer’s Gezi protests and a corruption scandal which implicated Erdoğan and his close family, some think that this new wave of dissent may derail Erdoğan’s presidential ambitions. 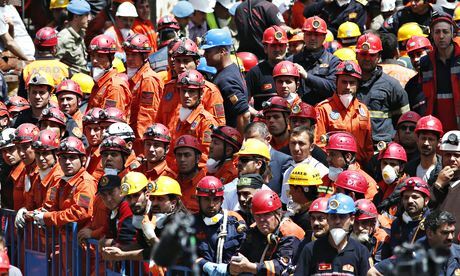 Tamer Kücükgencay, the chairman of the regional miners’ union, blamed Turkey’s atrocious industrial safety record on privatisations, and the subsequent pressure to boost production. "They want to produce more and more coal for less and less money. The effort to make more profit impedes negatively on work safety. "Private mines produce a tonne of coal for a fifth of the price of a government-owned mine, but this is only due to cuts at all the wrong places." Another miner agreed. "We now produce the same amount of coal in three to five years that we used to produce in 10. The coal might be cheap, but it’s not sustainable." Kücükgencay argued that only a profound shift would change Turkey’s dismal work safety record for the better. "Coal already generates a profit in the industries it is used in. As long as a mine is expected to generate a profit of its own, as long as private owners of mines are only after high returns, such accidents will happen." One older woman who works in a government office in Soma and whose son works in the mines, said she was tired of the government’s attitude. "They are lying to us. This was no accident. This was murder, plain and simple."